If you’re an Uber, previously UberCab, user you’re used to getting door to door car service simply by ordering it up on your iPhone. But only when you’re in San Francisco, since the service is only live there for now. I’m very bullish on the service. If you’re in Paris like me right now for the Le Web conference you’re out of luck and have to wait in long taxi lines. BUT, if you’re in Paris and hanging out with a cofounder of Uber, say Travis Kalanik then things might work out for you. 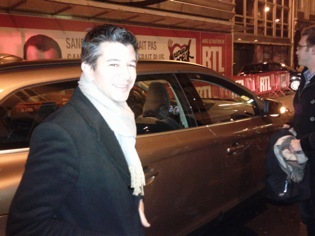 Kalanick, organizing a nice last night in Paris dinner with Tony Conrad for some ten people, worked with a couple of black car drivers to get them up and working on the service. They simply downloaded the driver version of the app to their iPhone. We used our normal Uber app and voilà! A car appeared. There was some negotiation and explaining to the driver so that he could navigate the English app, but soon we were on our way and to the restaurant. 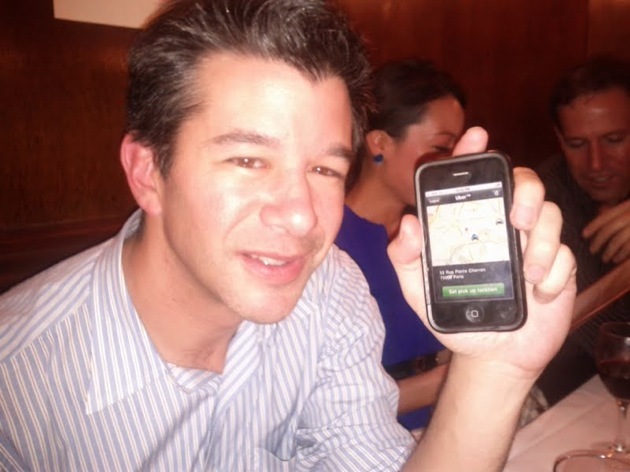 Kalanick then showed off the app on his phone as he was calling for a pickup at the end of the event. Only one car came to pick us all up though, and half of us were left behind. No second car came, and I ended up waiting a full 35 minutes for a taxi in the near freezing cold. It just made me love Uber a little more, waiting there. This is not an official Paris launch, says Kalanick. But it does show how easily this service could spread, bringing joy to millions of people around the world. They may speak a different language, but I have one thing in common with them – extreme dislike for the entire taxi fake-scarcity scam that all of us must deal with from time to time.